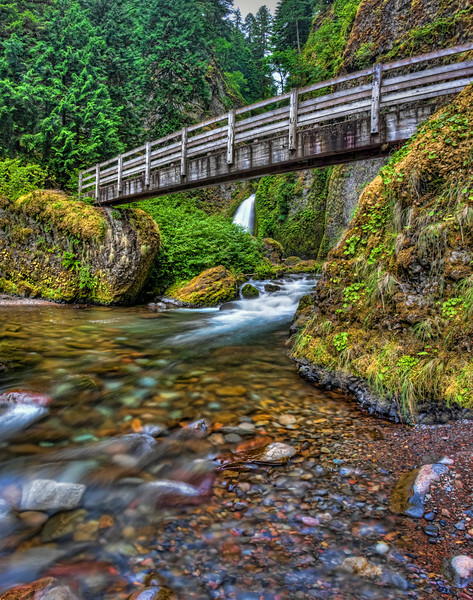 Wahclella Falls and Tanner Creek Trail Bridge. Wahclella Falls and Tanner Creek Trail Bridge. On the Columbia River Gorge Oregon. Very Pretty Place..